Quantitative versions (i.e., taking into account a suitable “distance” of a set from being a sphere) of the isoperimetric inequality are obtained, in the spirit of Fuglede (Trans Am Math Soc 314:619–638, 1989) and Fusco et al. (Ann Math 168:941–980, 2008) for a class of not necessarily convex sets called φ-convex sets. Our work is based on geometrical results on φ-convex sets, obtained using methods of both nonsmooth analysis and geometric measure theory. Late, but dedicated to prof. Arrigo Cellina on the occasion of his 65th birthday. 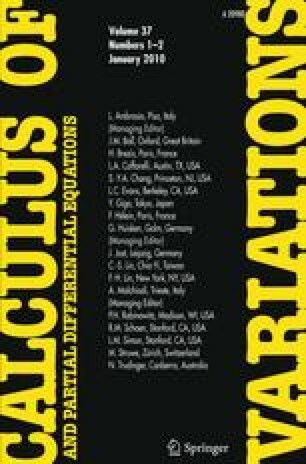 Partially supported by M.I.U.R., project “Viscosity, metric, and control theoretic methods for nonlinear partial differential equations” and by Padova University project “Problems with lack of regularity in optimal control and calculus of variations”.